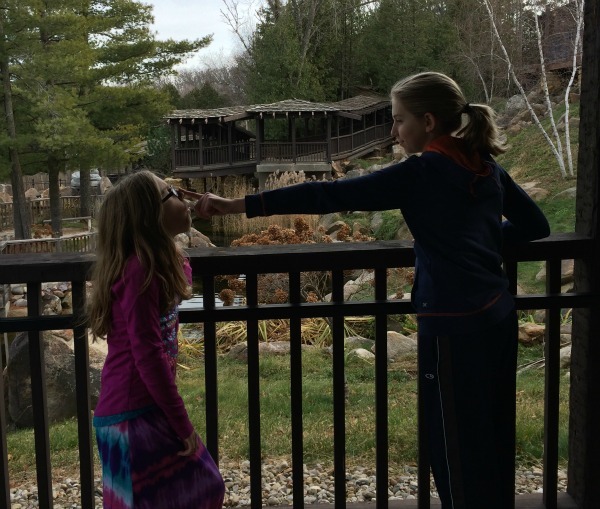 The weather has been beautiful (in the 50s, in Wisconsin, in December!!) and I’ve been feeling adventurous, so we’ve been out and about enjoying the festivities. 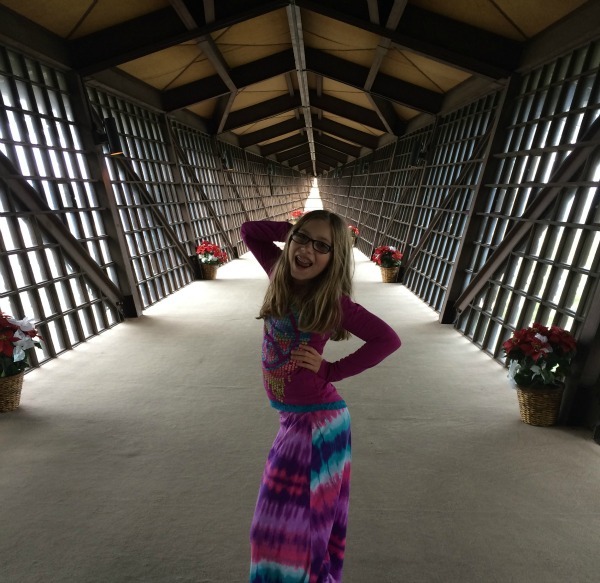 One of the perks of homeschooling is that you can take a field trip any day you want to. Plus, everything is a learning opportunity!! 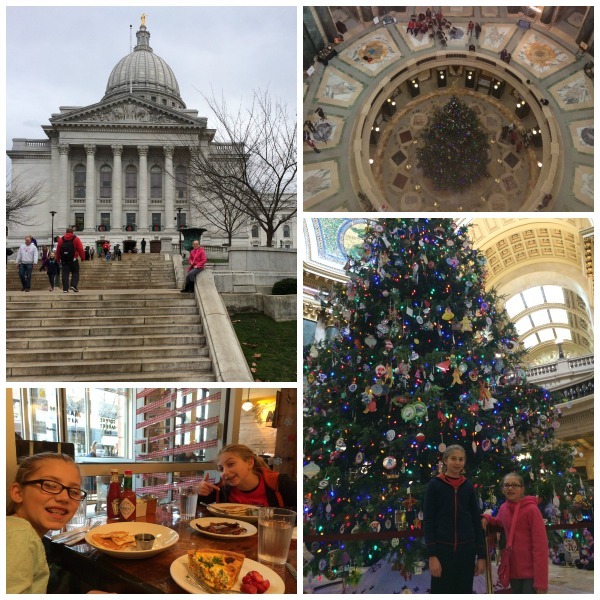 Yesterday we headed to downtown Madison to walk around the square and see the HUGE Christmas tree in the Capitol. First we went for a walk and ended up at the Marigold Kitchen for an early lunch. I’m so glad my girls wanted to go there! The staff was super friendly, the atmosphere relaxed and the Orange Almond Butter was delicious!! I ordered quiche so I really didn’t have anything to put butter on. I thought it was wrong to just eat a pat of butter so I slathered it on part of my daughter’s pancake to give it a try. Yum. It made me think of Christmas. As we walked into the Capitol we heard music playing. We were able to listen to a fabulous Christmas concert by a highschool band, orchestra and choir. What a treat! 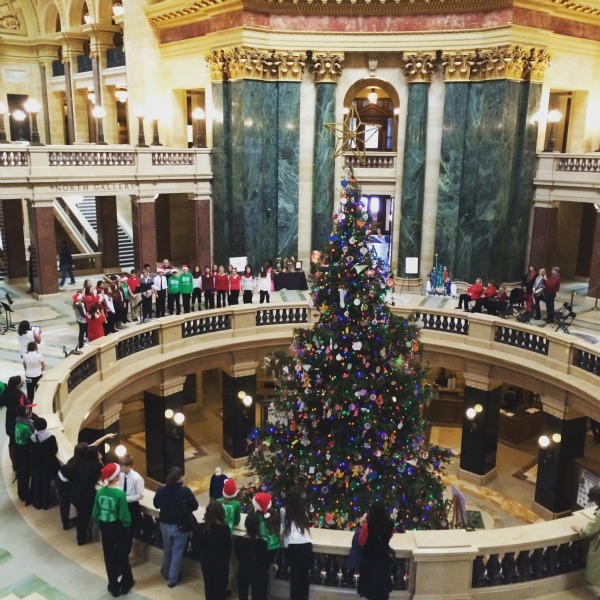 The acoustics in the Rotunda are amazing. Because we are curious by nature, we had to go all the way to the top of the dome (at least as far as they would let us) so we could see how they had hung the star that was at the top of the tree. It wasn’t actually attached to the tree because it was so big it would surely have bent the top of the tree over for a not-so-impressive top. The very top right picture above is us looking down from the top at the Christmas tree in the middle. Today after having lunch out with family I decided we should go for a drive with no real destination in mind. A few places we stopped at were closed, so we kept going until we found something open and ended up at The House on the Rock. Have you been there? That place is CRAZY!!! In a cool, fun sorta way. Just don’t go in the first women’s restroom when you get there if you don’t like dolls. It’s a little creepy. The actual house on the rock made me very claustrophobic. It has very small rooms, low ceilings and is very dark. If they didn’t have ropes and signs you could totally get lost in the maze of it. The views from the deck were amazing though and the Infinity Room (shown above) was crazy cool! You’re just suspended out there over thin air and it looks like it goes on forever. As we walked out as far as we could go, the floor got a little creaky. Not what you want to hear when you’re way up high over nothing!! Besides the actual house, there are tons of things to look at. If you tried to look at everything it would take you days. 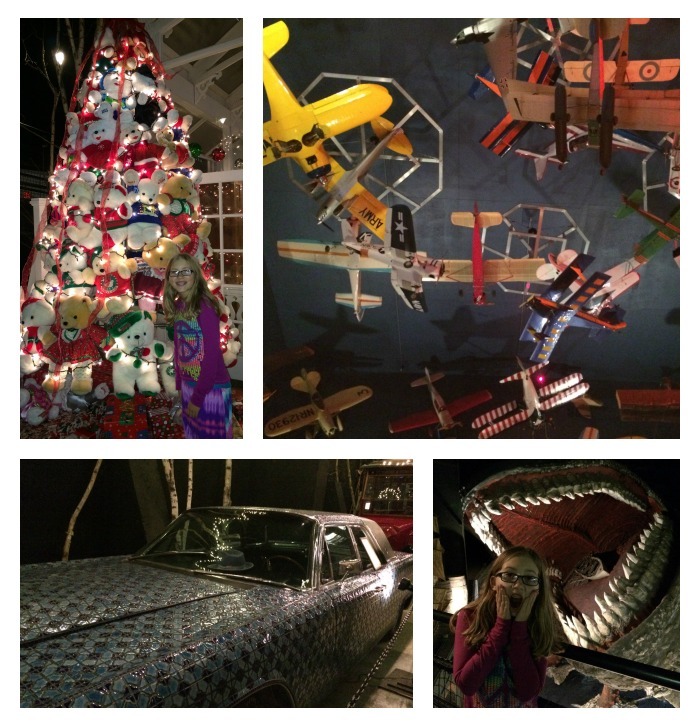 A Christmas tree made of stuffed animals, airplanes hanging from the sky, a tiled car (yes you read that right, covered in ceramic tiles), a ginormous whale fighting an octopus and trying to bite my daughter’s head off… You can walk the streets of Yesteryear and see the World’s Largest Carousel (unfortunately you can’t ride it). There were a number of music machines to play, which my daughter and I danced to. (I have two left feet, but as long as I spin her she’s happy!) The final section was closed but during the 2 hours we spent there we saw just enough. We highly recommend you go at Christmas time because everything is lit up, decorated and festive. Don’t forget the fudge! There’s fresh fudge in the gift shop at the end so don’t forget to pick some up for your ride home. It’s yummy! With a Buy 2 Get 1 Free special we had to try Cookies & Cream, Maple Nut and Mint Chocolate. Yeah, they were all good. As you go about your holiday hustle and bustle I hope you take some time to truly ENJOY some of the festivities. That was so sweet & interesting. Great fun. I am in Michigan, crazy weather, that’s for sure. Glad you all had much fun! Thank you for sharing your magical time with your girls. I love seeing the pictures you take. I have been to the House on the Rock but it was probably 30 to 35 years ago in the summertime when my boys were young like yours are now. I remember that I enjoyed it. I am sure it would be fantastic to see it at Christmastime. However, having spent 60 years living 50 miles west of Chicago I think I will stay down here in Florida during this festive time. Have a wonderful holiday. Where are you from in Wisconsin? I am from Baraboo?